For several decades, mainline Protestant churches have struggled to cultivate a strong Jewish-Christian relationship while also addressing the suffering caused by the ongoing Israeli-Palestinian conflict. This program explores the tensions these diverse goals have generated both within Protestant churches and in their engagement with Jewish communities. Rev. 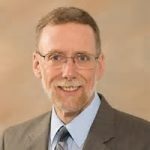 Dr. Peter A. Pettit, ordained in the Evangelical Lutheran Church in America, is Associate Professor of Religion Studies at Muhlenberg College in Allentown, PA, where he also directs its Institute for Christian-Jewish Understanding. 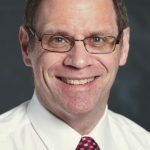 He was the Project Co-director of New Paths: Christians Engaging Israel, a joint initiative of Muhlenberg College and the Shalom Hartman Institute, Jerusalem, and is co-director of Interfaith Partners 4 Peace. Few know of the diversity of views within the conservative / evangelical Christian community or its long history of interest in the religious significance of the land of Israel. With the establishment of the State of Israel in 1948, many evangelical Christians, in addition to political activism, have been deeply involved in thinking about the theological significance for Christians of the existence of a Jewish nation-state. This presentation will guide us through the varieties of Evangelical perspectives. Rev. 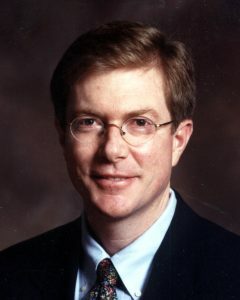 Dr. Gerald R. McDermott is the Anglican Professor of Divinity at Beeson Divinity School in Birmingham, Alabama. He is the author, co-author, or editor of many books, including The New Christian Zionism: Fresh Perspectives on Israel and the Land, and Israel Matters: Why Christians Must Think Differently about the People and the Land. Thursday, November 9, 2017 at 7 – 8:30 p.m. In the past two years, Orthodox Jews have issued remarkable and unprecedented statements about their relations with the Catholic Church. “To Do the Will of Our Father in Heaven” was composed by Orthodox Rabbis from Europe, Israel, and the United States, and “Between Jerusalem and Rome” was prepared by the Rabbinical Council of America, the Conference of European Rabbis, and the Israeli Rabbinate. Join us as two leading rabbis involved in preparing these statements discuss their purposes, challenges, and importance. Free and open to the public; classes are welcome. Rabbi Mark Dratch is the Executive Vice President of the Rabbinical Council of America, a professional organization serving more than 1000 Orthodox Rabbis in the United States, Canada, Israel, and around the world. Rabbi Dratch is the founder of JSafe: The Jewish Institute Supporting an Abuse Free Environment, an organization addressing issues of domestic violence, child abuse, and institutional and professional improprieties in the Jewish community. He served as Instructor of Jewish Studies and Philosophy at the Isaac Breuer College of Yeshiva University from 2002-2012. Newsweek named him one of the Top 50 Rabbis in America in both 2010 and 2013. 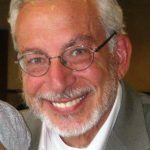 Rabbi Dr. Eugene Korn is the academic director of the Center for Jewish-Christian Understanding and Cooperation in Israel and co-director of CJCUC’s Institute of Theological Inquiry. He has published more than 40 scholarly and popular essays on Jewish-Christian relations, Israel, and Jewish ethics, which have been translated into Hebrew, German, Spanish, and Italian. He is the author or editor of several books including The Jewish Connection to the Land of Israel, Jewish Theology and World Religions, Covenant and Hope: Christian and Jewish Reflections, and Ploughshares into Swords: Jewish and Christian Reflections on Religion and Violence. Wednesday, October 25, 2017 at 7 – 8:30 p.m.
October 31, 1517, the date on which Martin Luther sent his famous “95 Theses” to the archbishop of Mainz, is generally considered to be the start of the Protestant Reformation. This epochal movement divided Western Christianity into competing – sometimes warring – factions, but what did it mean for European Jews? How did they fare as a vulnerable minority in Protestant countries as compared to Catholic ones? What were Luther’s attitudes toward Jews and what did later Lutherans teach about them before and after the Holocaust? What can Jews, Lutherans, and Catholics learn from each other today? Join us as an expert on these questions guides us through this history. Free and open to the public; classes are welcome. Rev. Dr. Brooks Schramm is the Kraft Professor of Biblical Studies at Lutheran Theological Seminary at Gettysburg. His most recent book, Martin Luther, the Bible, and the Jewish People: A Reader (Fortress Press, 2012) was co-authored with his spouse, Kirsi Stjerna. He is currently working on Luther’s 1543 anti-Jewish treatise, On the Ineffable Name and On the Lineage of Christ. 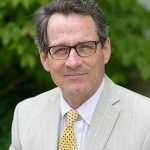 He serves as editor of Gettysburg Seminary’s scholarly journal Seminary Ridge Review. Professor Schramm’s scholarly interests also include the history of the Hebrew language, Jewish biblical interpretation, and biblical theology. Wednesday, September 27, 2017 at 6-6:45 p.m.
On September 27, 2017, the second anniversary of his visit to Hawk Hill, Pope Francis is launching a two-year global campaign to support our brothers and sisters who have fled their homes seeking a decent and safe life for their families. This campaign, “Share the Journey,” will help some of the most desperate of God’s children. SJU’s mission “to be an inclusive and diverse community” complements the Pope’s venture. Therefore, the SJU community will support the pope’s effort, beginning with a brief ceremony to recall his visit to Hawk Hill and to hear his vision for the human family. Join us in Campion Center and then around the Synagoga and Ecclesia sculpture. 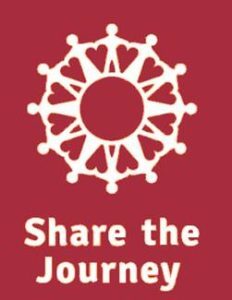 Watch for different “Share the Journey” activities and initiatives throughout the year. Tuesday, September 26, 2017 at 7 – 8:30 p.m.
Few Jews, historically speaking, have engaged with the writings of Paul, the first-century Jewish Apostle to the Gentiles. However, the modern period has witnessed burgeoning Jewish interest in this topic, reflecting profound concerns with his views about the nature of Jewish authenticity and relations between Jews and Christians. In exploring these issues, Jewish commentators have presented Paul in a number of apparently contradictory ways. He is seen as both contributing to and undermining interfaith harmony, both the founder of Christianity and a convert to it, both a Jew committed to Judaism and an apostate from Judaism, and both the chief architect of the religious foundations of Western thought and their destroyer. This lecture offers an overview of the ways in which Jews have engaged with this central figure of Christian tradition. Free and open to the public; classes are welcome. Dr. Daniel Langton is Professor of Jewish History in the department of Religions and Theology at the University of Manchester, UK, where he is Co-director of its Centre for Jewish Studies. His major publications include: The Apostle Paul in the Jewish Imagination: A Study in Modern Jewish-Christian Relations (2010) and Claude Montefiore: His Life and Thought (2002), an intellectual biography of the founder of Anglo-Liberal Judaism. As an advisor to the archbishop of Canterbury’s Office of Inter Faith Relations, he authored Children of Zion: Jewish and Christian Perspectives on the Holy Land (2008). His recent research projects include Jewish engagement with Darwinian theory and with atheism. Monday, April 3, 2017, 5:30 – 7:30 p.m. The 50th Anniversary of the Institute’s Very First Program! Sunday, March 5, 2017 at 7-9 p.m.
On March 5, 1967 Saint Joseph’s College held its first annual “Catholic-Jewish Institute.” Organized with the help of the American Jewish Committee, it was the birth of what became today’s Institute for Jewish-Catholic Relations of Saint Joseph’s University. The featured speakers were Msgr. George G. Higgins of the National Conference of Catholic Bishops’ social action department and Rabbi Marc H. Tanenbaum, director of Interreligious Affairs of the American Jewish Committee (see left). 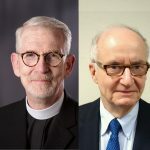 Both had been involved in the successful passage of the Second Vatican Council’s declaration on the Church’s Relationship to Non-Christian Religions, Nostra Aetate, which had been promulgated less than a year-and-a-half earlier. Join us on Sunday, March 5, 2017, as two internationally known experts in Catholic-Jewish relations, who are the counterparts of Msgr. Higgins and Rabbi Tanenbaum, come to the SJU campus to commemorate that first Institute program exactly one half-century later. Rev. Dr. Dennis McManus serves as Consultant for Jewish Affairs at the United States Conference of Catholic Bishops (USCCB). 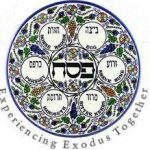 Rabbi A. James Rudin is Senior Interreligious Advisor for the American Jewish Committee. They will survey the developments over the five decades of the Institute’s existence and look ahead to future progress and challenges. Wednesday, October 26 at 7 p.m. Rabbi Ron Kronish is the Founding Director and currently Senior Advisor of the Interreligious Coordinating Council in Israel, now the Interreligious department of Rabbis for Human Rights. 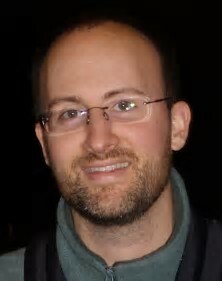 An internationally acclaimed speaker and author , he has edited a book of essays on Coexistence and Reconciliation in Israel: Voices for Interreligious Dialogue (Paulist Press, 2015), he blogs for The Huffington Post and The Times of Israel and he is writing a book about Interreligious Dialogue in Israel. Mayor Issa Jabber is a veteran educator who now serves as the mayor of the Israeli town of Abu Ghosh, just west of Jerusalem. He is a former co-chairperson for many years of the Interreligious Coordinating Council in Israel and he has lectured widely about Arab-Jewish Coexistence and Interreligious Dialogue in Israel and abroad. Rabbi Kronish and Mayor Jabber will share their insights and experiences from the last 25 years of working together in Israel.